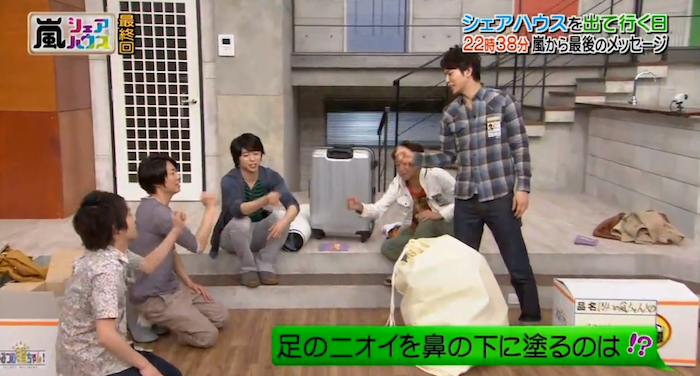 The last episode of HIMITSU NO ARASHI-CHAN is everything why fans love these five boys. Sitting around in the living room–albeit empty as they are supposed to be “moving out” already–and just chatting like you would see friends shooting the breeze. This. Is. The. Reason. Why. Arashi. Clicks. Right there in the last episode of a show, that ironically, tried so many formats when all it really needed was to bring these five bakas in a simple setting and let them do their thing. So the final episode starts with them coming out of their rooms with their bags, except that Ohno was just carrying a pouch. Sho-kun had “serious traveler” written all over with his luggage. Jun, imho, had the most stylish bag. 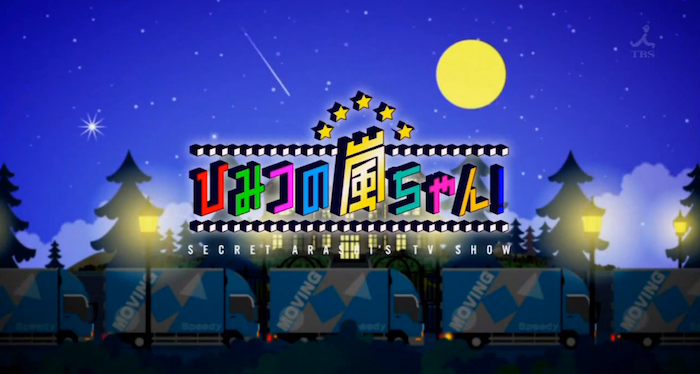 To be honest, of the three Arashi variety shows, this is the least of my favorite. And as I watched the last episode, I can see why. 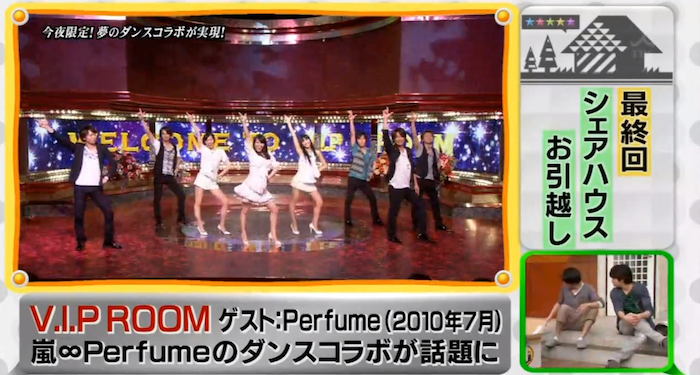 VS ARASHI is a straight-forward game show. 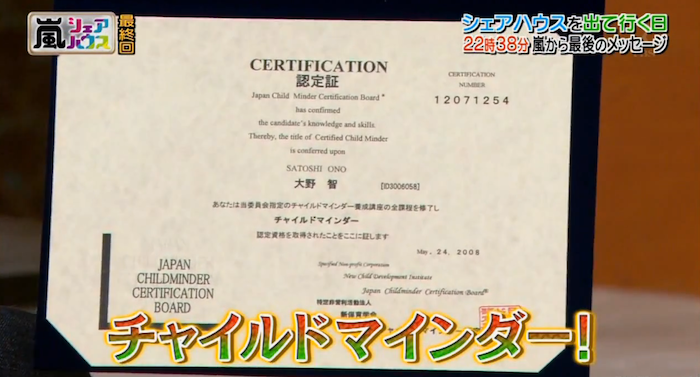 ARASHI NI SHIYAGARE’s concept is clear: Arashi learning from anikis. HnA did not have that consistency. It wanted to be so many things. Not that they were the least entertaining because the segments had their moments. It’s vintage MAGO MAGO ARASHI. Put the boys together with kids and voila, you’ve got TV watchers swooning kawaii!!! The VIP Room, which is one of my favorite segments. I just wonder how come they didn’t include that clip when Sho-chan cosplayed as a robot. Of course, who can forget the equally epic Mannequin 5 and the batsu? And the collaboration with Disney! And other segments that made this show truly a hodge-podge without apologies. It was as if in its five years on air, HnA was trying to find its groove. 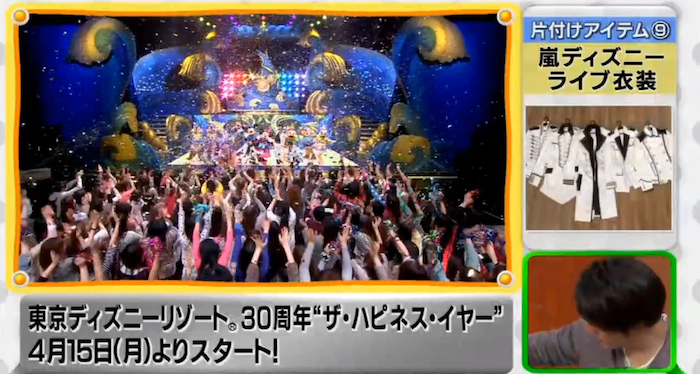 The only reason why people continued watching was because of Arashi, who made the show interesting despite of its limitations. Not to say it was a failure because it wasn’t. In this day and age of reality and talent shows, it wouldn’t have lasted five years if TBS didn’t find it worthy of airing. Goodbye, house. We will miss you. If for anything, the animation of this show is really very good. 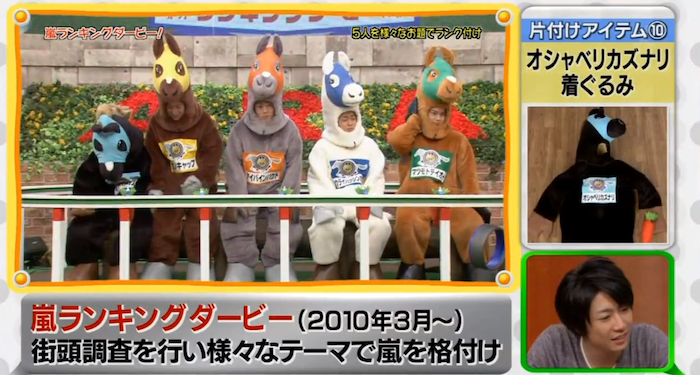 Like the other Arashi shows, HnA made us laugh and turned our bad days into the best days of our lives. It’s not the end, but another beginning. Sho, Aiba and Nino have their own solo shows, and I hope that Jun and Riida will follow soon. Of course, it will not be the same without the five of them but there is still VS ARASHI and ARASHI NI SHIYAGARE. Besides, these boys have to grow individually too if they are going to strengthen Arashi further. They need to discover and learn things apart so that every time they come together, there are always new things they can learn and share with one another. Arigatou Arashi-chan. 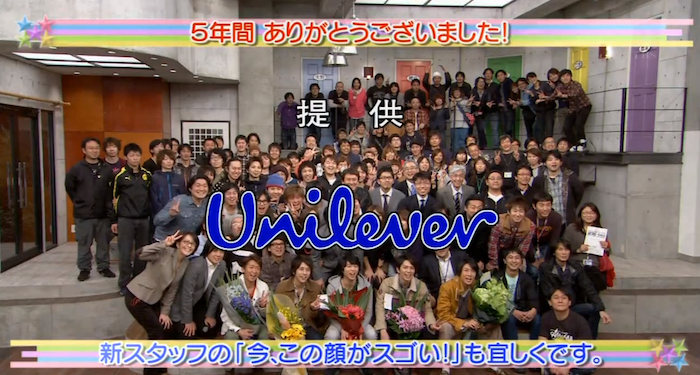 Arigatou to the staff that supported the boys in those five years. Open the WHITE and bubbly to celebrate! Copyright © theasianpopculturist. Blogging since 2001. All rights reserved. oh dear god! i just want to bawl again after reading this!! i missed their dorkiness in the show! bring back HNA!! ohhh Matsuni hanging around them in M5… one of those hilarious moments that’s very classic Arashi, especially the skirmishes Neen and his J would get into. now, I miss that show too. I’ve been watching VIP Room and though I can’t understand a thing, it still cracks me up. Arashi’s humor is infectious.